04/06/2014. Shaqlawa, Iraq. 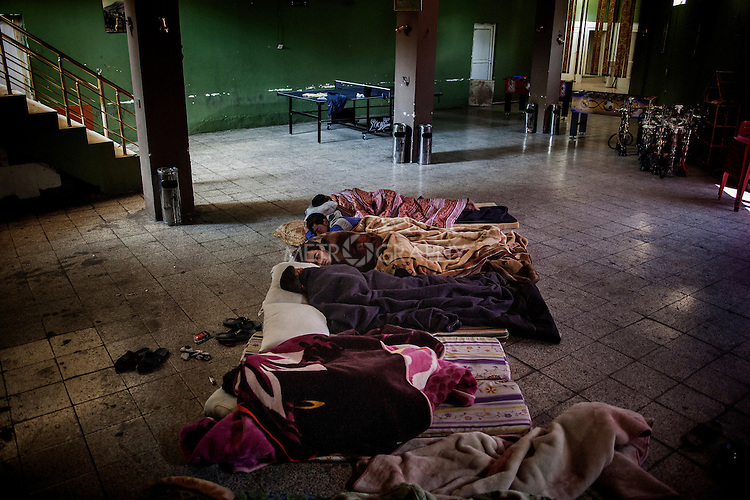 -- A group of displaced men from Al Anbar and Syria sleep on the floor at the Gazino cafe, where they all work as waiters.